John McEnroe is a true tennis legend and a person that excites tennis fans. Being a fan of his old-school serve-and-volley game, I decided to go ahead and write a page about him. McEnroe is of course famous not only for his great game but also for his rather unusual temper on the Tennis Court. Check out John arguing a call in his typical fashion! McEnroe was born in 1959 in Wiesbaden, Germany. He was a strong junior player and got recruited to play Tennis at Stanford University. Throughout his career as a professional he won 7 Grand Slam singles titles as well as 77 overall singles Tour titles making him one of the best players of all time! He was also one of the best doubles players of all time, winning 78 Tour titles! He had an unbelievable year in 1984. Throughout that year he had a win/loss record of 82:3, winning 13 tournaments overall including Wimbledon and the US Open! He still plays Tennis actively on the senior Tour and also works as a tennis commentator on television. 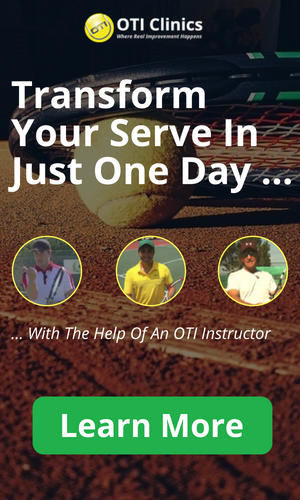 Let’s break down his game in regards to the four areas of Tennis! McEnroe has a very solid forehand with a compact swing! His grip looks like a classical eastern grip with his index knuckle probably on bevel number 3. He swings inside-out and uses his body to generate power. 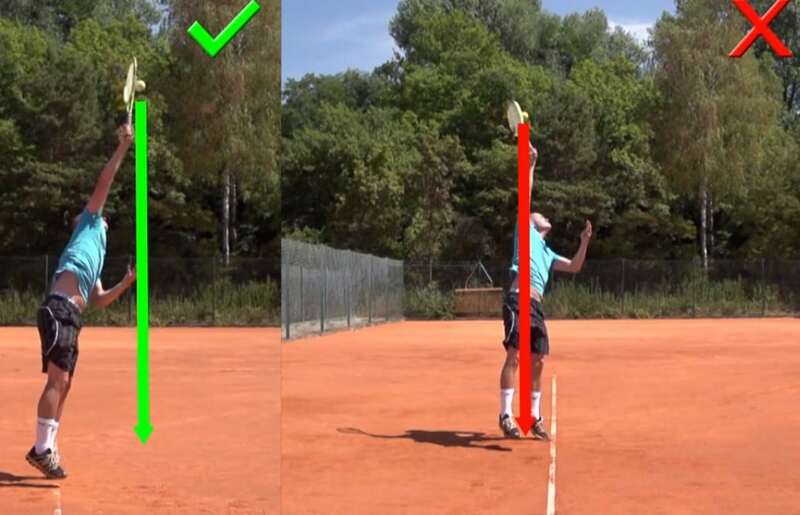 He looses some acceleration because he takes the racket back low rather than high. This is a disadvantage compared to players with a high-low-high swing pattern. taking the ball early though! This is essential for coming in to the net, which is what McEnroe’s game is based on. Therefore, I would say that his swing pattern really matches his game plan well. Interestingly McEnroe’s backhand swing pattern is similar to his forehand swing pattern. Again he takes the racket back low rather than high and he has a short compact swing pattern. He also uses his legs and his body well to lift and accelerate the ball. Overall a solid one-handed backhand stroke. To learn more about solid stroke mechanics visit the Tennis Video Instruction page on this website! John also hits a nice slice backhand which he uses effectively on low balls to come in to the net. What he does well on his slice (and his volleys) is that he does not open up the racket face too much! Therefore his slice shots really go through the court and don’t float too much! John McEnroe is one of the best net players of all time! Therefore it is a safe bet that his mechanics at the net must be very solid. Playing with a continental grip on both sides he manages to keep the racket head very stable on forehand and backhand volleys! You will see that his racket does not move down too much on either forehand or backhand volleys. Playing serve-and-volley Tennis the half volley is extremely important. It is one of the most difficult shots in the game. McEnroe mastered this shot like no one else I can think of. He consistently manages to get difficult half-volley shots deep to the baseline allowing him to move up closer to the net into a better position! and copy John’s volley technique! John has a very unusual service motion. He turns his back almost entirely towards the net like no other player that I can think of. One of the benefits of this motion is disguise. It is very tough for opponents to get an idea of where he is going to serve! His motion is very fluid and he is able to use a lot of variety with this motion! In order to be an effective serve-and-volley player it is important to vary speed, spin, and placement of your serves, which he does extremely well! Overall a great service motion for a serve-and-volley player but not something I necessarily recommend copying! John has a very clear game-plan. It is all based around his strengths of serving and volleying. His goal is to get to the net whenever possible! He does not have a very powerful game from the baseline so his options are somewhat limited in that area. Therefore I would say that his tactics make a lot of sense with his technical options. John McEnroe was incredibly fit in his playing days and actually is still very fit now that he plays on the senior tour. Most champions in Tennis have been exceptional movers around the court and McEnroe is no exception in this aspect! John is known for his tantrums on the tennis court! Many times he would get in fierce arguments with umpires, linesmen, opponents or even fans in the stands. For pretty much any player on this planet that kind of behaviour is a certain road towards playing bad Tennis and in many situations I believe this was the case for John as well. Yet John also could have situations where this behaviour helped him out of a slump that he was in. This is quite rare though and I once heard him say in an interview that he would never behave in this way when playing Borg because he knew that he couldn’t afford to do that against a player as strong as Bjoern Borg! I believe John’s greatest strengths are his physical abilities which include fitness/movement as well as incredible hand-eye-coordination. These skills are the essential part of his talent. His weakest part was certainly the mental aspect of the game in my opinion!